Dragon Dream Team hasn't added a story. 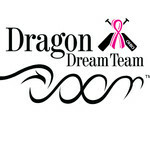 The Dragon Dream Team is one of more than 150 all breast cancer survivor dragon boat teams around the world and first in Ohio. Members of this unique support team are survivors of all ages and backgrounds, moving forward in a dragon boat and in life, paddling to a finish line where there is strength and confidence after breast cancer. Proceeds from Dragons on the Lake help support the team's activities in the community, and outreach program Boatloads of Hope. Dragon boating helps this team stay afloat. Paddling helps reduce the swelling of lymphatic fluid (lymphedema) and gives members something physically to look forward to during treatment. The team also functions as a loving support group. Boatloads of Hope – Each year hundreds of newly diagnosed survivors receive an embroidered silk pashmina and a personalized message of hope from the Dragon Dream Team. Boatloads of Hope is now in 13northeast Ohio hospitals and cancer centers. Dragon Dream Team hasn't posted any updates yet.